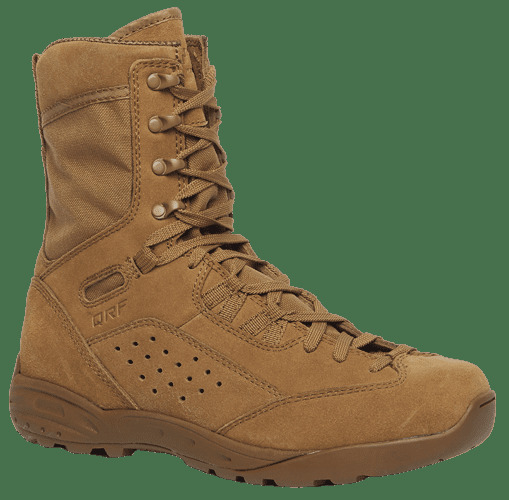 The Tactical Research Men's QRF ALPHA C9 Hot Weather Assault Boot is ideal for U.S. Military soldiers looking for a lightwieight, high performance AR670-1 compliant boot they can depend on. This military height boot features 100% non-metallic construction. 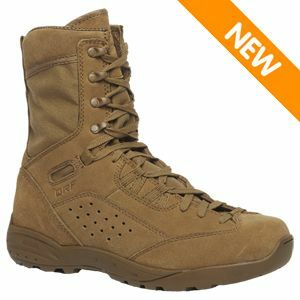 Designed to address the infil & exfil operations of a Quick Reaction Force (QRF) team in mind, The QRF Series of boots offer a unique and purposeful option for when movement is essential. With design and performance influences from the outdoor trekking and approach shoe category, the QRF Series integrates an aggressive, lace-to-toe closure system, a medial side rappelling overlay and low profile soling system to enhance performance in multiple environments. 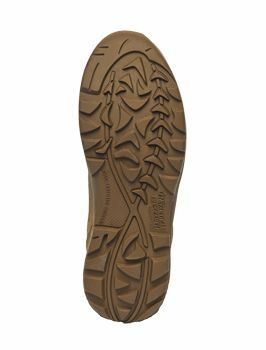 An exclusive long-wearing RAKKASAN outsole ensures excellent traction on wet or oily surfaces.